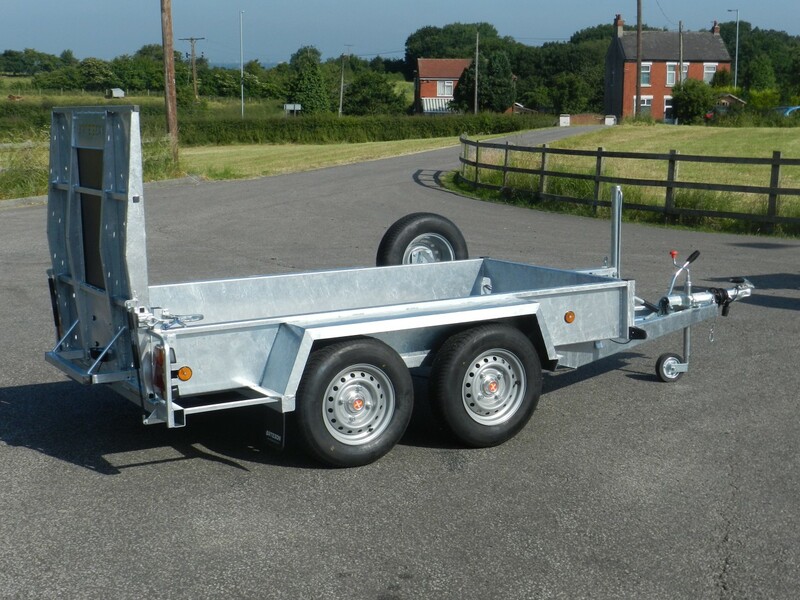 Bateson Hydraulic Tilt trailers have been designed to transport many types of vehicles and machinery. 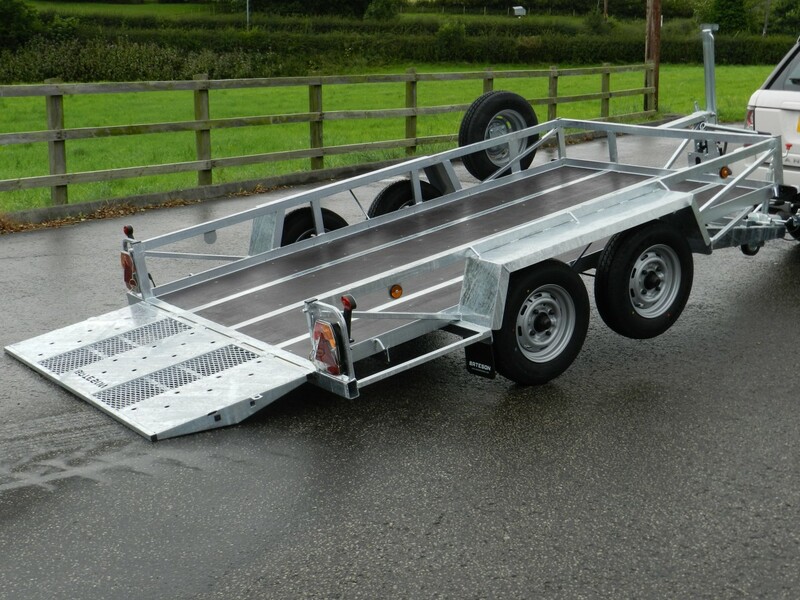 The low platform and shallow approach angle allow equipment with a minimum ground clearance or a long front overhang to be loaded easily. 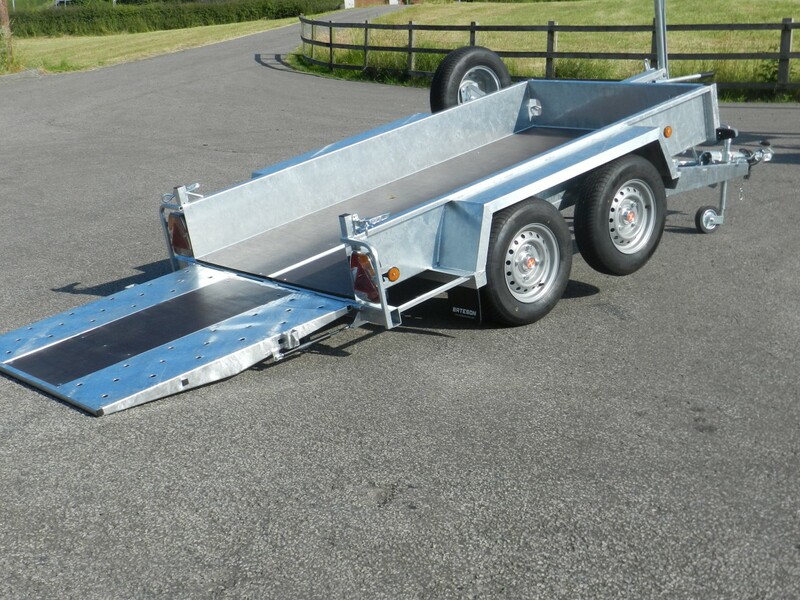 They are available in three types; the GT models which are single axle low loading general purpose trailers, suitable for all types of horticultural and construction equipment, the AT range which are twin axle, auto tilt platform trailers suitable for machines and vehicles weighing up to 2 tons and versatile PT range of tilting platform trailers which are available with twin or triple axles up to 3500kg gross weight. 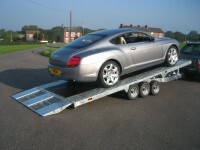 The PT range are very low loading flat platform trailers with hydraulic tilt. The laser cut chassis members incorporate the outside sections of the floor which increases the strength whilst reducing the platform height and unladen weight. This also allows tyre grips and load securing points to be cut into the deck inside the sides. If hinged sides are required three are fitted each side with lift out centre and corner posts. 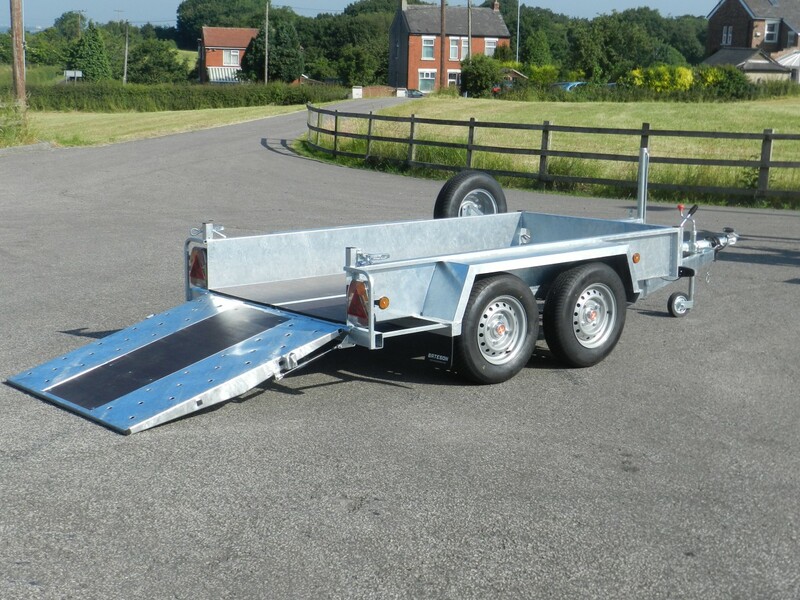 A 75cm High ramp door is fitted on all three trailers to provide a constant approach angle. 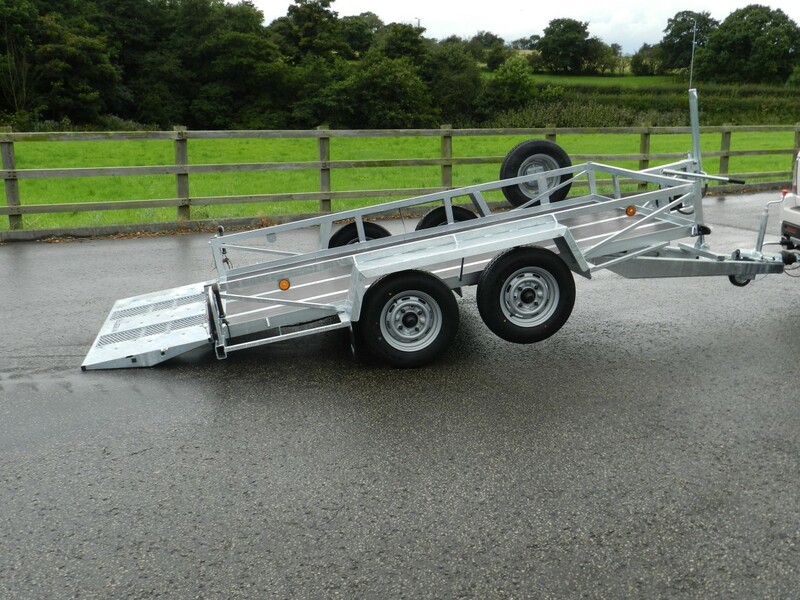 detchable ramp blocks are available for very low vehicles and lose ramps are available for side loading that store between the centre side posts. 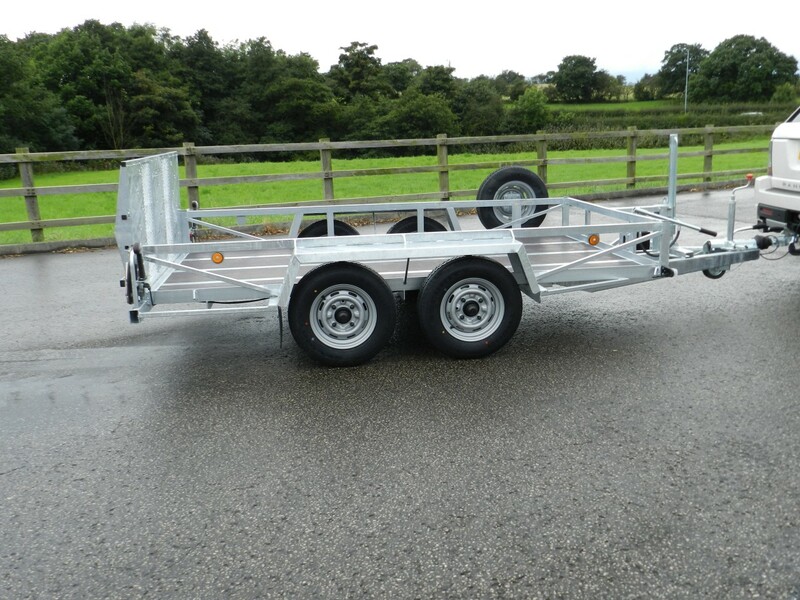 As a free option we offer these trailers without the rear ramp and with 2 slide under ramps 1200mm long and 300mm wide. This allows a rear overhang and further reduces the approach angle. 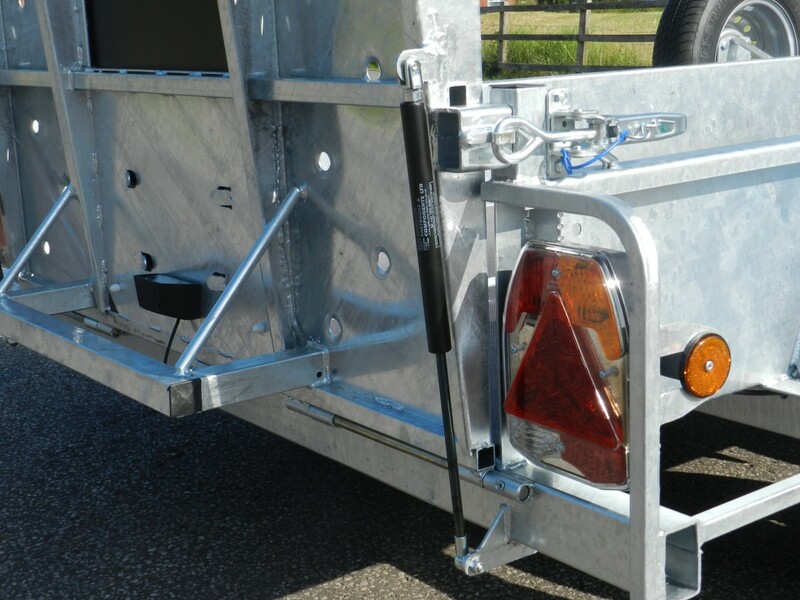 A 2 ton hand winch or 12v electric winch and a front adjustable wheel chock are also available as options. 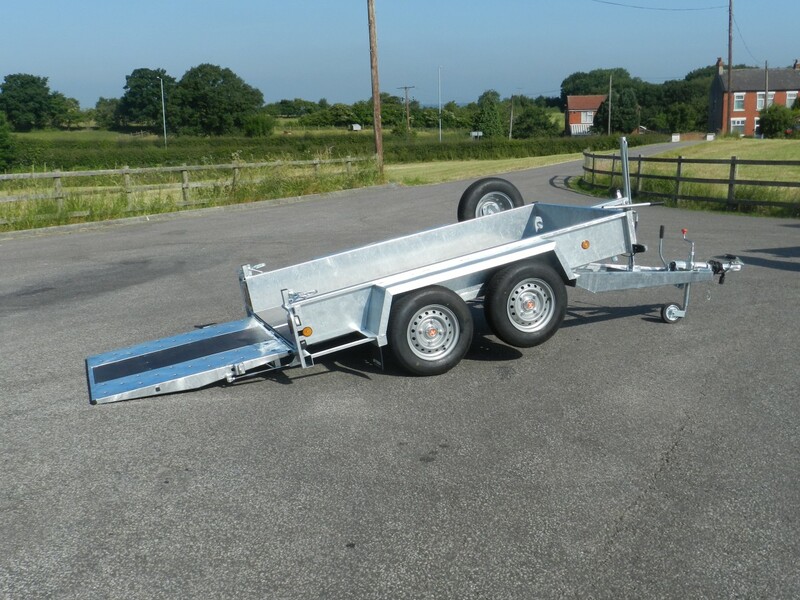 Non-tilting models are available that can be fitted with triple axles if required, they can then be plated to a gross weight of 3500kg. 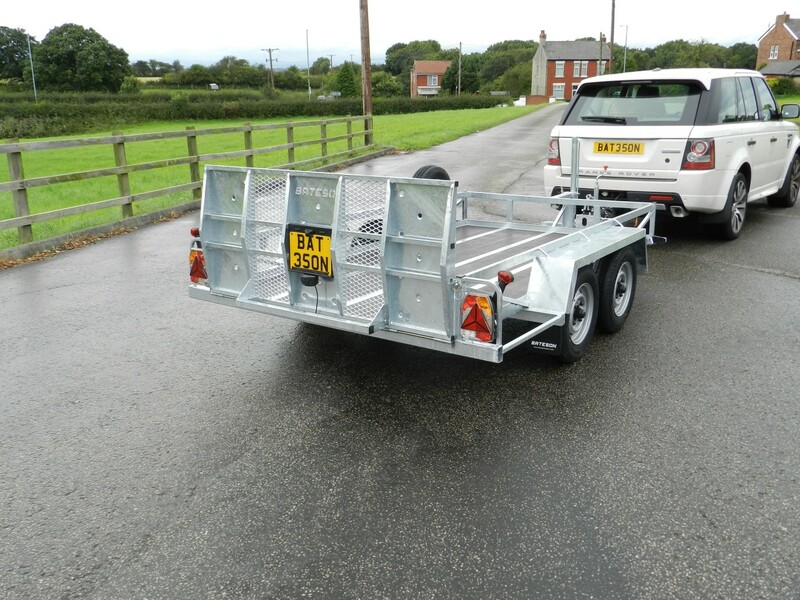 On the GT and AT trailers the deck extends rearwards by lowering the tailboard which locks horizontally. This allows the body to balance over the pivot point (when not fitted with fitted with extra equipment). The body can then be tilted to allow the load to be driven or winched on and the body will return to the normal position. If the valve on the pump is closed, the body will remain raised in order to load several items, when the valve is opened the body will lower. 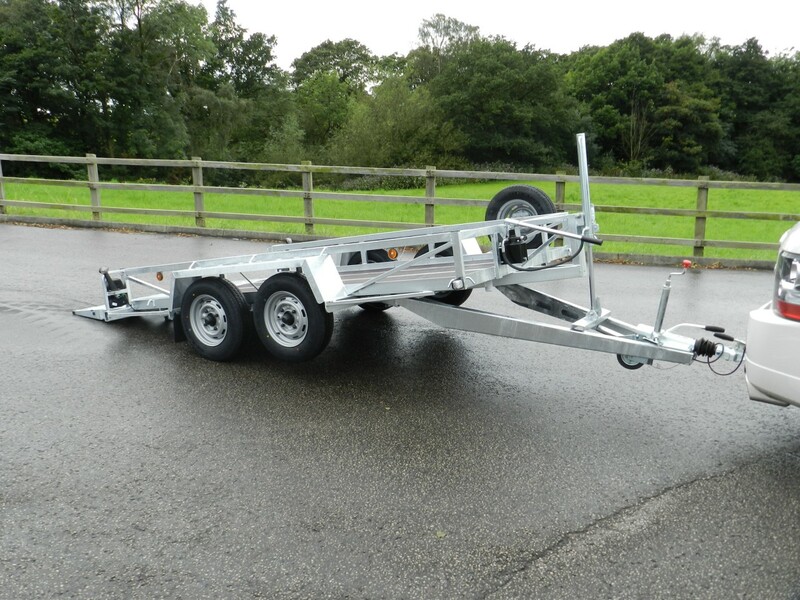 When unloading the body is released and the tailboard lowered the machine can be driven on to the ramp and the body will tilt, hydraulically damped, and the load driven off. 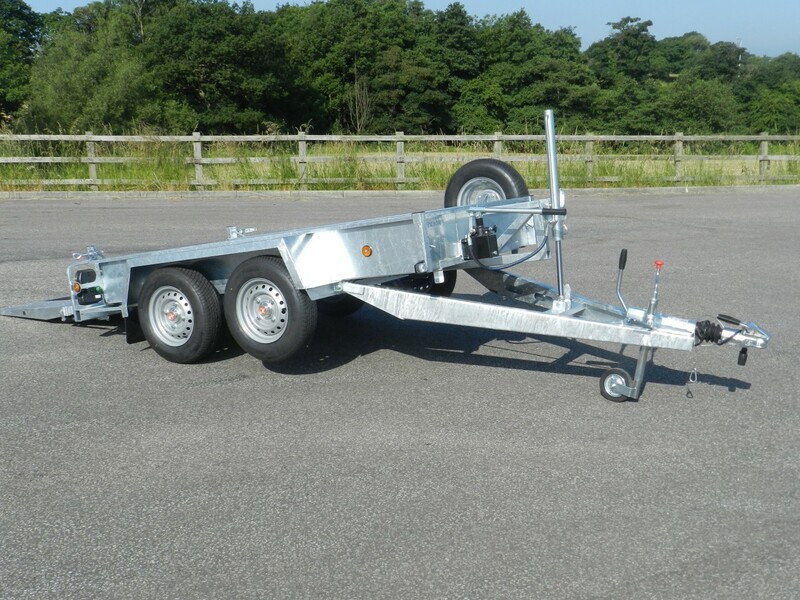 The trailer can also be tilted by means of the manual hand pump if required. 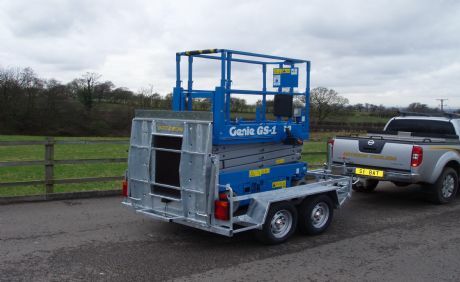 We also manufacture special tilt trailers for scissor lifts and sweeping machines, 26TP and 35TP, 2600 kg and 3500 kg gross weights, these can be built with extra body length to accommodate larger machines if required. 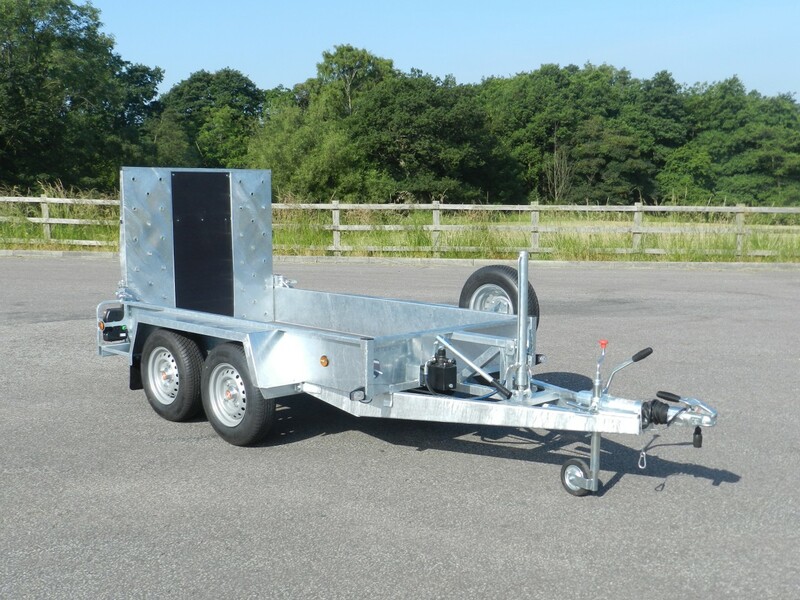 Also look at our ever popular Hydraulic Tilt Car Transporters trailers, these have proved to be ideal for many more applications that just car transport.